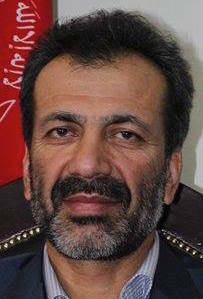 Najibullah Aqa Fahim Najib Fahim son of Mir Aqa was born 1965 in Kapisa Province. With a bachelor on Law and Political Science from Kabul University and a Masters in International Law, he is a teacher at the Faculty of Law and Political Science at Kabul University. He was first secretary at the Afghan consulate in Mashhad, Iran and then administration and finance manager at the Ministry of Works, Public Affairs and Disable People and Martyrs. He has served as a/the legal adviser of the Ministry of Interior and a senior adviser with the Ministry of Counter Narcotics. And finally he worked with the Ministry of Foreign Affairs as the head of developing policy department. He has two academic papers and his master thesis was on the legal situation of Amu Daria (River Oxus). Afghan presidency has promised two ministerial posts to Jamiat-i-Islami political party as part of negotiation to end dispute over Balkh governorship, sources said 20180318. Based on the agreement, Mirwais Balkhi will be introduced as minister of education while Najib Aqa Fahim will be given another ministerial post. Both are members of the party.